Long holiday weekends are perfect to take a quick break from the daily hustle and bustle. For many, this encourages us to relax somewhere different and maybe even plan a last-minute getaway to explore a new destination. While these trips don’t tend to require much planning, there are a few important details you shouldn’t miss considering when ironing them. 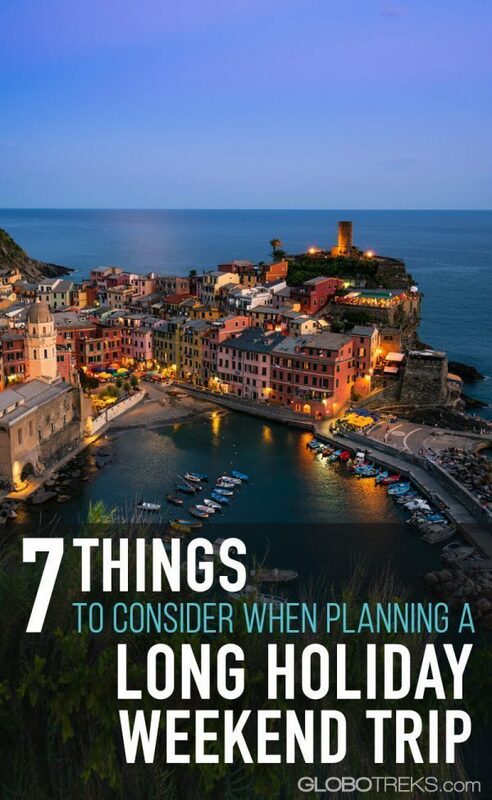 These tips will help you establish some expectations on what you should encounter when traveling on a holiday weekend, how to avoid some of the mistakes most travelers commit, and how to prepare to make the most of this possibly crowded trip. 1. Expect Crowds – It’s a Long Holiday Weekend after all! Just like you, thousands of other people will be looking to squeeze the best trip possible on that long weekend, so naturally, popular spots will get crowded, and very fast. Longer lines, busy beaches, and wait-lists are quite common during popular holiday weekends. If crowds are not your thing or if you’re looking for a secluded relaxing weekend, know that you’ll have to work a bit harder to plan that trip and do your best to avoid them. 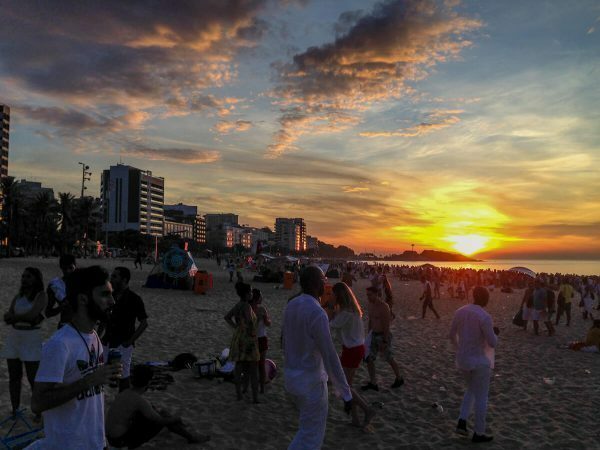 Watching the sunrise on New Year’s night at Copacabana Beach in Rio de Janeiro, Brazil. The beach is still full! Think, why do you want to go to [destination] now? Unless it is something very specific and personal, chances are that thousands of other people are thinking the same. Now think, how can I beat these other people to getting the best deals and activities or how can I mostly avoid them? The answer will vary per destination, of course, but luckily, we have the internet to help us get the answer. The next tips will help elaborate on this. From flights to accommodations to activities, it is best to book everything well in advance if you’re traveling to a city or country where it is a holiday too. Domestic flights tend to be cheaper a month or two before departure while international flights tend to be cheaper three months before. Will you be doing popular activities? Book them at least a few weeks ahead. Planning on taking a ferry? Buy that ticket online, if possible, to avoid any last minute hassle or the possibility of it being sold out. Even if activities are sold out, ask them to put you on their waiting list. It has happened to me before that people have canceled last minute on that very popular activity and I was called in to fill their space. Win-win for both. Pay attention to accommodation surcharges and required “minimum stay” during holidays. Some hotels and apartments will require a minimum stay of 2, 3, 5 or how many days as they specify during popular holidays. This is a common Airbnb technique, but many hotels/hostels do this too, especially during Christmas and New Years. Speaking of Airbnb, this is a great platform to find accommodation, experiences, and restaurants at your destination. 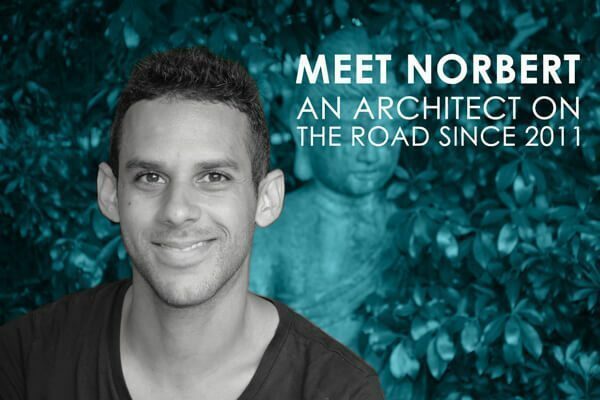 Accommodation is usually cheaper than hotels, and in most cases, you get that local experience and connection that is rarely experienced with a hotel. The experiences also tap on that local side, so it’s possible it could be a one-on-one experience, depending on the provider. 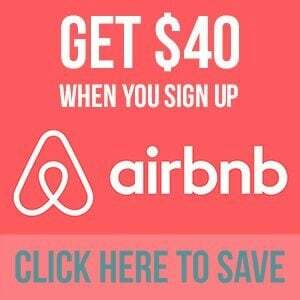 If this is your first time using Airbnb, with this link you’ll get $40 off on your first booking. 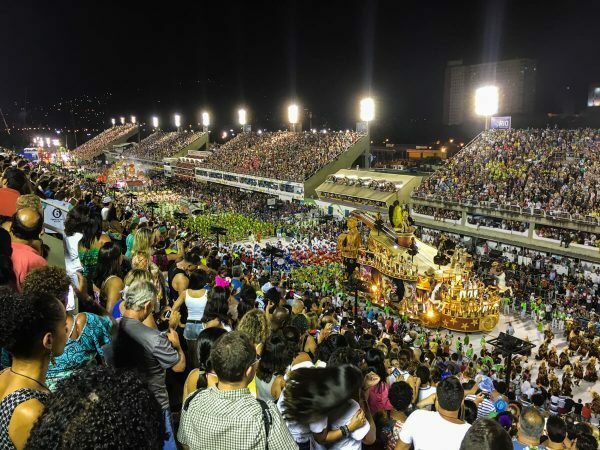 At the Sambodomo in Rio de Janeiro during Carnival. Also good to have in mind is that some restaurants might charge twice as much their regular price when serving during a major holiday. As an example, restaurants in Rio de Janeiro are famous for jacking up their prices during carnival. I’ve seen their surcharges up to four times the normal price for the same menu during the peak of Carnival – especially on local restaurants right by the beach. As much as you can, be flexible with your time. Can you start your trip a day or two before the long weekend? Or, can you stay until Tuesday or Wednesday? 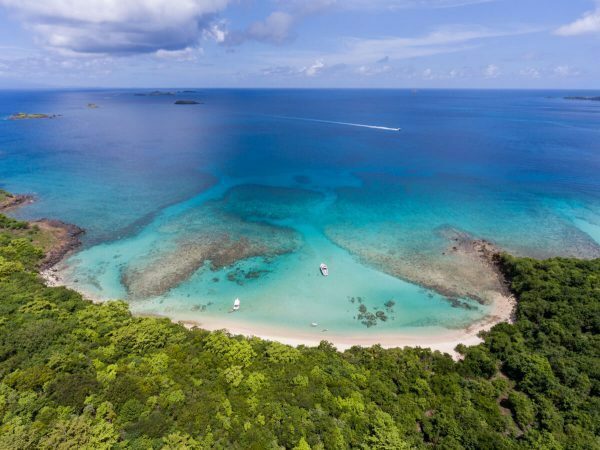 That extra day or two might make a huge difference when it comes to crowds, so you’ll be able to enjoy that secluded beach, that kayaking experience, or that trail without hundreds of other tourists brushing you all the time. Plan the most touristy activities for that extra day or two before/after the holiday weekend (when there will be fewer people) and do less touristy or off-the-beaten-path activities during the weekend. It might be a holiday weekend in the US, but it might be a regular weekend in the Dominican Republic, Mexico, Spain, and so on. Check the calendar and see if any international destination of interest is also celebrating a holiday during that weekend. Should they not be, why not head there instead? Sites like Skyscanner.com and Kayak.com allow you to search flights from your city to “everywhere” or several cities at the same time, so you can see which international destination might have the cheapest airfare for that particular weekend. The good thing about flying to an international destination during their regular weekend is that you will not get the “holiday surcharge,” especially if they are on their low-season (when they tend to charge even less), so it could end up costing even cheaper in the end. It’s also important to have in mind that airlines know travel patterns, so if it is a holiday in the US, they know more people will tend to travel during that weekend, so they might increase their airfares. That’s why you should play with your flexibility and see if it’s cheaper flying a day or two earlier/later, as mentioned before. Some activities are a staple of certain holiday weekends. For example, during the 4thof July, a lot of people head to the beach, Thanksgiving is more family oriented at home, and during Memorial Day people enjoy the parades. Why not go against the grain to avoid the crowds? If most people are heading to the beach, why not go climb a mountain or hike a trail? If the holiday is not during beach season, why not head to the beach to at least relax on the sand, or do a road trip to visit some smaller towns? 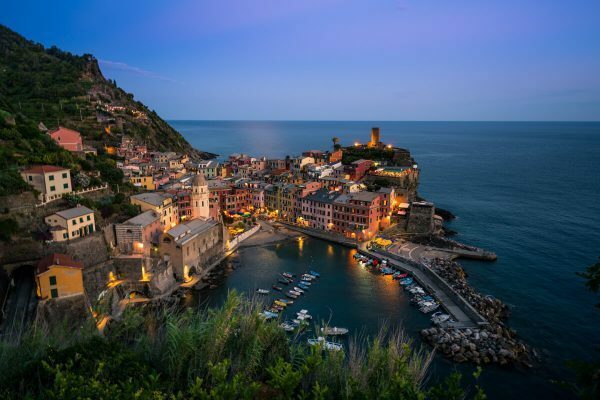 Cinque Terre during the low season is just as beautiful, and without the crowds! What if you got to that gorgeous secluded beach and suddenly you see it jam-packed with thousands of sunbathers? That may not be the experience you were looking for, so why not try to head to a less popular beach nearby? 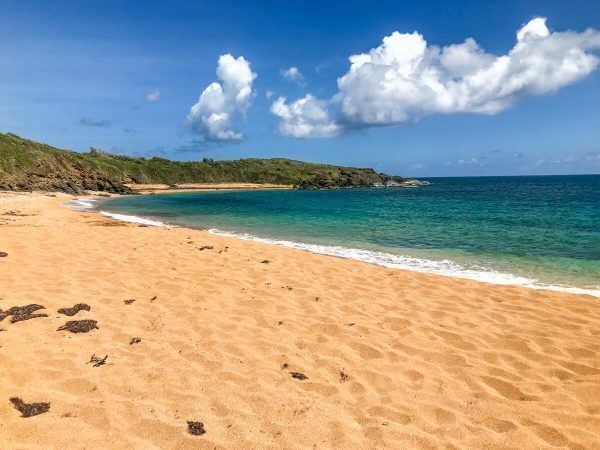 For example, earlier this year I planned on going to the popular Flamenco Bay Beach in Culebra, Puerto Rico, but since it was Memorial Day weekend, all the ferry tickets to get to that beach were sold out. My plan B, though, was going to another beautiful beach not too far from the ferry terminal. This was Colorá Beach, which requires a 20-minute hike to get to it. This is Plan B! The beach my friends and I had all to ourselves, on a full holiday weekend! The result: My friends and I had the beach to ourselves most of the time, or shared it with a maximum of eight other people. And this was right in the middle of the weekend when most beaches were overcrowded. Be proactive by googling “best alternatives to [insert activity here].” Most activities, sights, restaurants, accommodations, and natural spots have a spillover alternative, usually just next to it. When the popular spot gets too crowded or underperforms, people then to look for the second-best nearby alternative. Instead of looking for them at the last minute, have them noted so you can act swiftly and waste less time at the moment. What else have you done to avoid crowds or plan the best long holiday weekend trip?